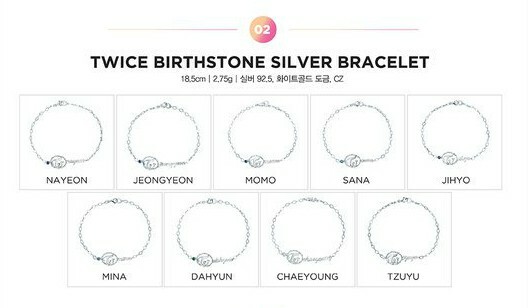 TWICE has launched a limited edition jewelry collection, which cost nearly $3,000. There's 27 items in the collection, with three for each member. 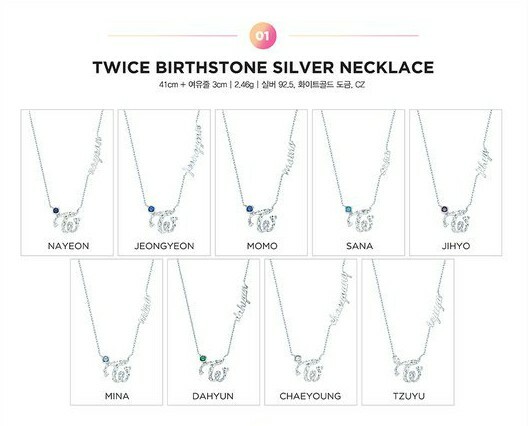 The first set is necklaces featuring different birthstones and the members' name. In addition to the necklaces, there's also bracelets which echoes the style of the necklace. 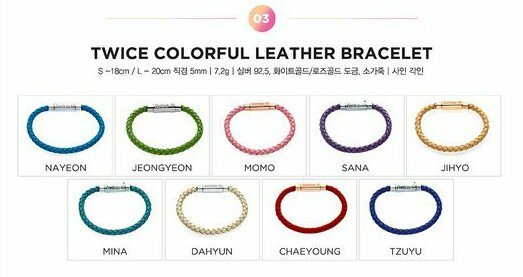 There's also colorful leather bracelets for each member. Each item cost approximately ₩99,000 KRW, or roughly $90 USD. The entire set would therefore cost close to $3,000 and fans have already purchased most of the jewelry!